You have the right to cancel your order within 14 days of placing the order. 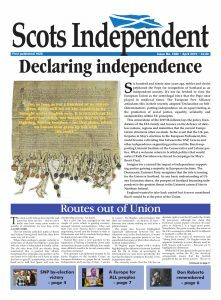 If you have received the goods and no longer require them, post back to us (at your cost) with the original packing to Scots Independent Newspapers, 23 King Edward Terrace, Portknockie, Moray, AB56 4NX. If the goods are undamaged we will be happy to refund you the purchase cost. Although we endeavour to ensure suitable packaging is used accidents do happen. If you receive damaged goods please send photographic evidence to the business manager, Ian Hamilton, and we will provide a replacement.